Grass fed meats delivered to your door in Phoenix! 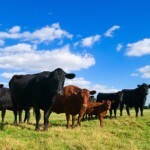 Topline Foods offers healthier grass fed meats and more! Shop online for home delivery! 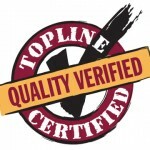 Topline Foods makes shopping for your lean proteins fast and easy. Just shop online and we’ll ship to your door. Or, you can pick up at our North Phoenix offices. It doesn’t get easier than that. No more driving around town (in the Arizona heat!) trying to find that one store that has your favorite grass fed meats in stock. Quality and variety in one place! We offer a wide variety of the highest quality lean proteins including organic grass fed beef, antibiotic free and organic chicken, wild caught seafood and pasture raised pork. Our line of grass fed beef includes top sirloins, New York Strips, Rib Eyes, Filet Mignon, skirt steak, roasts, and burgers. That much variety isn’t going to be at your local gourmet or organic grocers! If you are one of the many following a Paleo or caveman diet, you can shop for all your Paleo approved lean proteins in one place saving yourself time and money. Meal time has never been easier! When your freezer is stocked with high quality proteins, all you need to add is a salad, a roasted vegetable, or other healthy side to finish your meal. Most of our meats are vacuum sealed and individually packaged. When it is meal time, simply select the protein you are craving and put it into a clean sink of cold water for about 15 minutes, depending on the thickness of the meat. Once it is thawed, you can season to your liking and grill or roast in the oven. Your vegetables can even roast in the same oven. Our line of Signature Seasonings make this whole process a breeze while adding great variety and flavor. Again, saving you time because you don’t have to plan a day ahead to marinate when time is tight. Save time at the grocery store! When you shop for all your lean proteins with Topline Foods, you will find that your trips to the grocery store are suddenly less of a chore. Because you are only shopping for produce and incidentals, you may get out of the grocery store in less than half the time you are accustomed. And who wants to spend time in the grocery store? When you see this seal, you know the products you are about to buy meet or exceed our high standards. Click on the seal to see the what these standards are for each of our meats. Feel good knowing all our proteins are better for you, the environment, local communities and the animals. Grass fed meat is healthy for people because it is lean, contains a high percentage of good fats – Omega3s and CLA – and beneficial antioxidant vitamins and minerals. It is healthy for animals. Beef cattle, goats, sheep and bison all evolved to eat grass and not much else. Feeding them a diet rich in grains creates an acidic environment in their digestive systems, leading to disease and the need for treatment with antibiotics. It also leads to an increase in incidents of E coli contamination. Grass fed beef is healthy for the planet. Pasture-based farming restores natural ecosystems and wildlife habitat, reduces reliance on petrochemicals, improves the soil with organic matter, and reduces greenhouse gases. Grass fed meat is healthier for communities. Small family farms provide jobs and strong economies in rural communities and create sustainable business for succeeding generations. This entry was written by Jeff, posted on May 1, 2013 at 7:46 pm, filed under Announcements - Cities, Blog and tagged Arizona, AZ, grass fed, meat, Phoenix. Bookmark the permalink. Follow any comments here with the RSS feed for this post. Both comments and trackbacks are currently closed. Hey there! This is my 1st comment here so I just wanted to give a quick shout out and say I really enjoy reading your blog posts. Can you recommend any other blogs/websites/forums that cover the same subjects? Thank you so much!